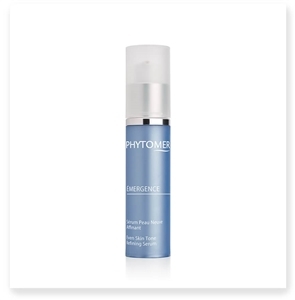 Phytomer's YOUTH PERFORMANCE Wrinkle Radiance Serum features an exceptional texture which instantly melts on application to create younger looking skin. 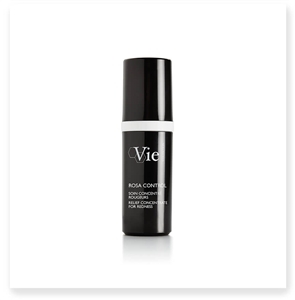 Its high-tech formulation includes a new, vectorized marine ingredient, Seastem Ciblactiv, which precisely targets the skin's regeneration cells. 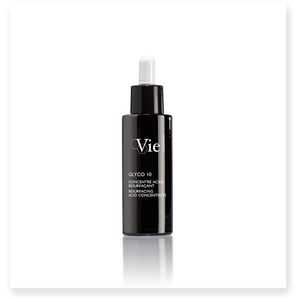 Results are immediate: wrinkles are smoothed and the complexion is more radiant from the very first application. ÉMERGENCE redefines skin as perfect every day. This serum with a featherweight texture provides a gradual and controlled supply of AHAs. In 14 days* skin is even and its texture is refined. In 1 month* imperfections are reduced: pores, blackheads and redness are visibly diminished. *Satisfaction test on 21 volunteers. Non-comedogenic. Phytomer introduces a versatile new serum formulated with a quartet of beauty-enhancing marine and plant oils. A perfect complement to Phytomer’s top selling product, ROSÉE VISAGE Cleansing Toning Lotion, it features rose oil which stands out for its lovely scent and soothing properties. Formulated as a light and comfortable dry oil, it quickly penetrates the skin, leaving a velvety finish and lingering scent of fresh roses. Phytomer's ultra-light Brightening Serum with a matte finish reduces the appearance of dark spots, visibly improves the radiance of the complexion and helps restore even skin. The AQUASAPHIR Perfecting Youth Serum has a complete renewing effect on the skin's surface. With it's fine, silky texture, the Aquasaphir Perfecting Youth Serum evens out the skin's texture by reducing imperfections, tightening pores, softening wrinkles, and lightening the complexion. Fleur's Youth Perfector Fluid has a perfected formulation of ingredients to target wrinkles, skin texture, and complexion all at the same time. With its delicate, lightweight texture, the Youth Perfector Fluid has a velvety feeling upon application and leaves a powdery finish that is soft to the touch. 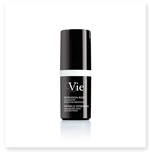 Ideal as an occasional intensive treatment for wrinkled and maturing skin.